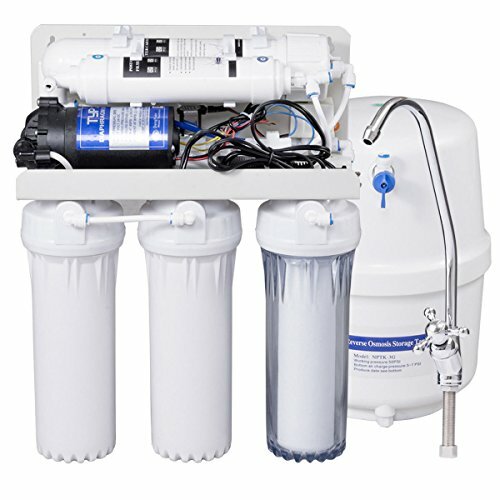 For civil tap water, the water purifier conduct coarse filtration with PP cotton filter. Granular active carbon filter to absorb unusual colors and odors, and absorb residual chlorine with block active carbon filter to generate filtered water. The filtered water is subject to a reverse osmosis membrane for filtration to form drinking water which is in compliance with requirements in the sanitary standard for hygienic safety and function evaluation on treatment devices of drinking water-reverse osmosis treatment devices. Enjoy unlimited ultra-fresh, clean, great tasting water right at home for the best quality water for cooking and making delicious coffee, ice. Purchase as soon as possible!